Polaris® -exclusive Lock & Ride® technology makes it easy to install or remove this premium-featured Poly Full Windshield, which greatly enhances Polaris® RZR® XP 1000 riders’ comfort and protection. 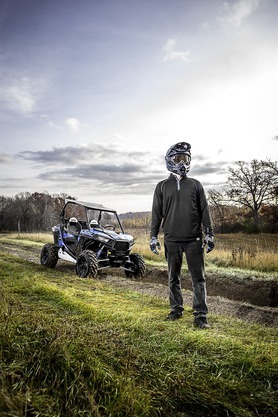 Polaris® -exclusive Lock & Ride® technology makes it easy to install or remove this premium-featured Poly Full Windshield, which greatly enhances Polaris® RZR® XP 1000 riders’ comfort and protection. 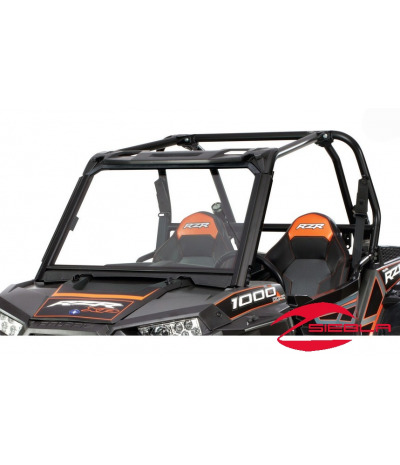 The RZR® XP 1000 cab frame is designed for integrated windshield installation and this Poly Full Windshield installs quickly and easily into the designated mounting position using Polaris® Lock & Ride® technology. With minimal perimeter framework and the integrated installation, the windshield has a low-profile that results in the fullest visibility and superior fit and finish. This RZR® windshield features impact-, shatter- and scratch-resistant coating. 236” polycarbonate construction (super thick to handle the performance of the XP 1000) with hard coat on both sides for optimal strength, protection and durability. 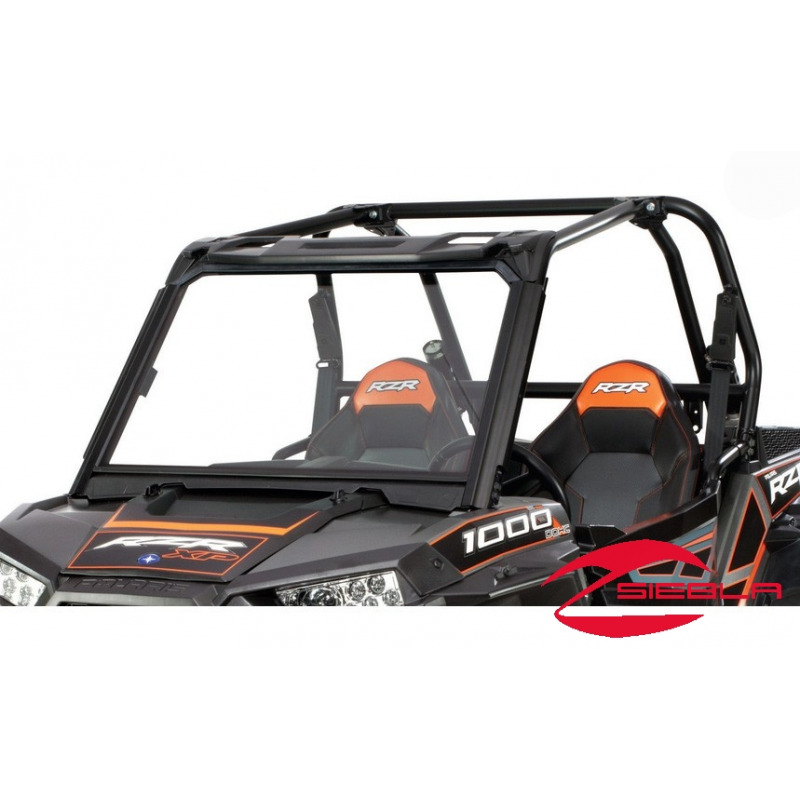 The integrated wiring channels and fully framed windshield provide excellent sealing and will withstand the performance of the RZR® XP 1000. Material: Impact-, shatter-, and scratch-resistant .236” polycarbonate with hard coat on both sides. Installation: Poly Full Windshield installs in minutes without tools using Lock & Ride® technology and integrating into a designated mounting position on the RZR® XP 1000 frame. Includes: Poly Full Windshield and mounting hardware.